We are honored to have been asked to participate with several other speakers in the Full-Time Freedom Week scheduled for November 19 - 23, 2018. So, you may ask, "What is it?" 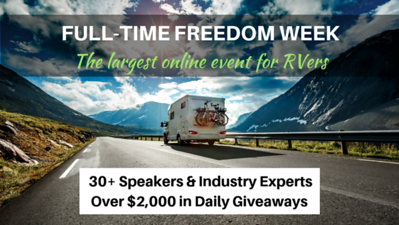 Full-Time Freedom Week is five days of video education provided by full-time RVers and RV industry experts (but mostly full-time RVers). 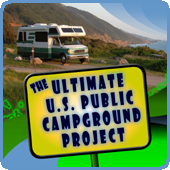 It's geared to those that are considering, dreaming, and/or planning a full-time RV lifestyle. However, all RVers will probably learn something. UPDATE: The full schedule is now available on the website. You have to register to "attend" and have access to the videos. If you are up for binge-watching a bunch of videos during your Thanksgiving holiday, it's completely free. However, each video will only be available for 24 hours and then it's gone unless you purchase an ALL ACCESS PASS which gives you full access to all the videos for the next 10 months on the website, and then you will have the opportunity to download them and have them forever before they are removed (thus they call it a "lifetime" pass). Let's not fool around. The cost of the ALL ACCESS PASS is only $47 ($37 if you purchase by Oct. 25). And it's completely worth that to get 20 or so hours of video education about full-timing that you can watch at your leisure. I already told them they aren't charging enough, but they are sticking to the price in hopes of making it up on volume. That's great for anyone that takes advantage of this. UPDATE: Now 45 hours of video. Each day, attendees will receive an email with that day’s events. Each day will consist of 3-4 speaker videos. There will also be two daily live videos: a mid-day “Lunch Time Tips” session and a nightly“Campfire Chat” to recap the day and announce daily giveaway winners. Videos will be hosted on the Full-Time Freedom website and links to the videos will be provided in the daily email. UPDATE: Now 9 videos per day plus give aways for registered attendees after the last video each day. The full schedule is now available on the website. Linda & I are doing one of the live videos on the first day, November 19. UPDATE: Our session is called "Is Full-Time RVing For You?" and will be at 8:00 p.m. EST, and we'll have the opportunity to answer your questions. Again, you can register for free, but just go ahead and buy the ALL ACCESS PASS. Not only do you have the opportunity to watch all the videos when you want AND guarantee you get to see the particular videos you most care about, but those that purchase the ALL ACCESS PASS PRIOR TO OR DURING FULL-TIME FREEDOM WEEK also get a "book" of digital coupons for a variety of RV products, services, and memberships. If you just use a couple of coupons, you can recover the cost of the pass. But remember, though you can get an ALL ACCESS PASS to watch all the videos for several months after the program, you only get the special "coupon book" if you purchase an ALL ACCESS PASS before or during the event. We are including a coupon for a discount on our 2019 Spring Educational Rally, and we have a few more coupons that we will be submitting on our behalf and on behalf of some of our business partners. But the coupons are just an extra incentive for you to purchase the ALL ACCESS PASS. Even without them, $47 is a bargain. UPDATE: This isn't really an update, I just forgot to mention it in the original post - 10% of ALL ACCESS PASS proceeds are being donated to the National Park Foundation. I still can't believe the price. Sorry, just thinking out loud. Update: There are now 35 speakers and you can visit the website and click on the Speakers link to see them all. I think we may be the oldest in this group and we aren't as technologically savvy as the others, but I'm pretty sure we have the most experience, and we are glad to be a part of this event. 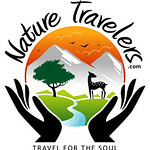 So, if you or someone you know is considering becoming a full-time RVer, send them a link to this Journal post so they can get some cheap, quality information from people out there living the life they are dreaming about. Because we always try to be as transparent as possible, I'll tell you this. A lot of us are putting a lot of time into this event, and the only way we get compensated is from the proceeds of ALL ACCESS PASSES. So, by clicking on one of our links or banners on this page or on any of our RV-Dreams pages, and then purchasing an ALL ACCESS PASS, we get a little "thank you" for our time which we would greatly appreciate. So, if you were thinking to yourself "What's the Catch?" or "What's In This For Howard & Linda? ", that's it. We educate RVers for a living, but our goal is to always make sure our compensation provides great value, and we believe this event does that (or else we wouldn't be involved).